Did the U.S. Government Make the Greatest GIF of All Time? Oh yes. 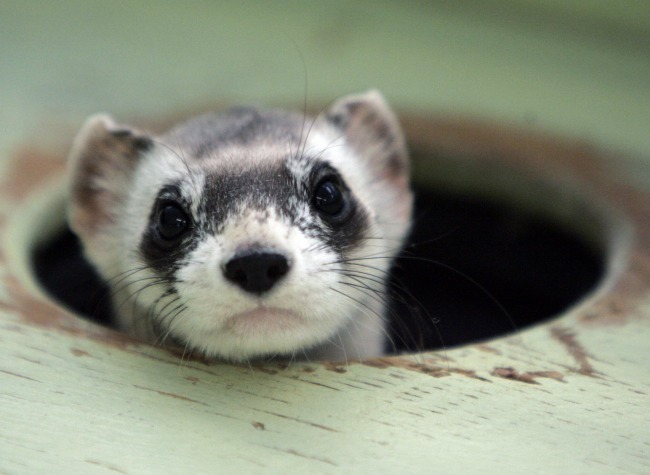 Behold: This is a data ferret, using Data F.E.R.R.E.T.T. Now, I ask you: Is this not the happiest little GIF of all time? Look at that pleased concentration. That considered pause. That chipper grin. Look at that little data ferret go. This is what I want all computer work to look like. I want that data ferret to be my productivity spirit animal. Despite its age — it lived at its current web address since at least 2001 — Data F.E.R.R.E.T.T. appears to be a tool still in use. It has a toll-free hotline, which I called, and which I discovered closes at 4:30 p.m. Eastern. It has a website, too: dataferrett.census.gov. The website is similarly Nineties-tastic. It has a PowerPoint about Data F.E.R.R.E.T.T., which are presented as images. It also has an intro video, which consists of a montage of nameless bureaucrats, numbers-scrolling-by-style B-roll, and a ferret wearing a Sherlock Holmes hat. A solitary citizen, sitting at her computer, chipping away at a massive public dataset, thinking, typing, thinking, typing, thinking. Type on, you beautiful ferret.